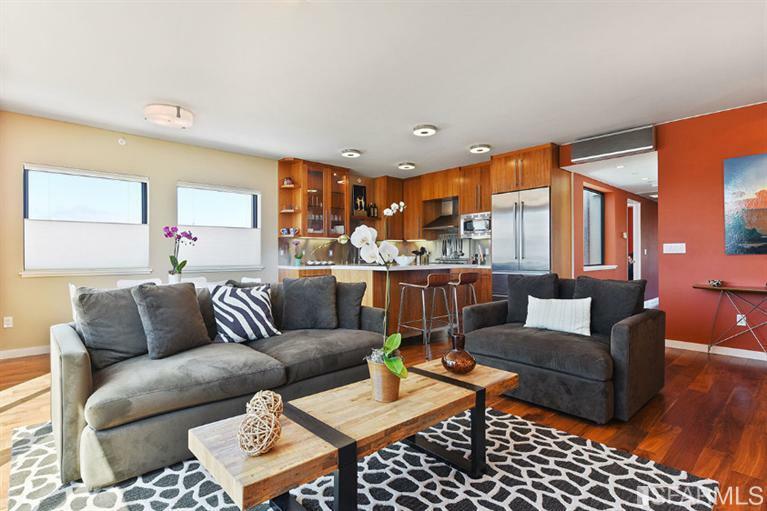 Do not miss this special offering. 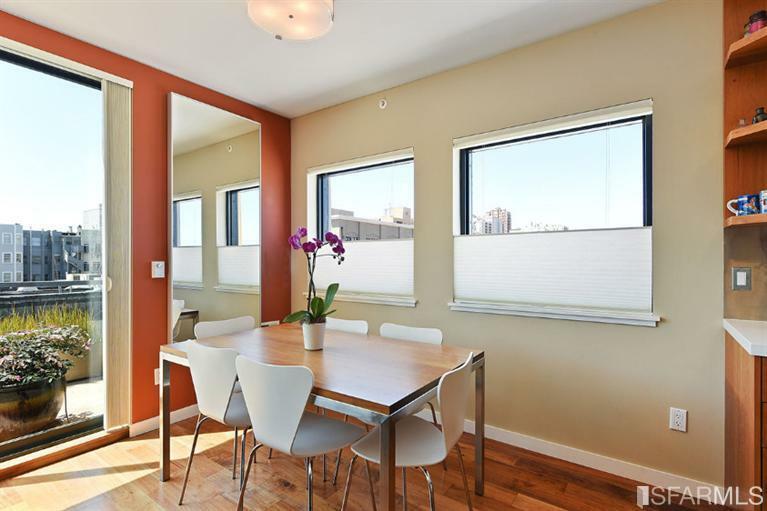 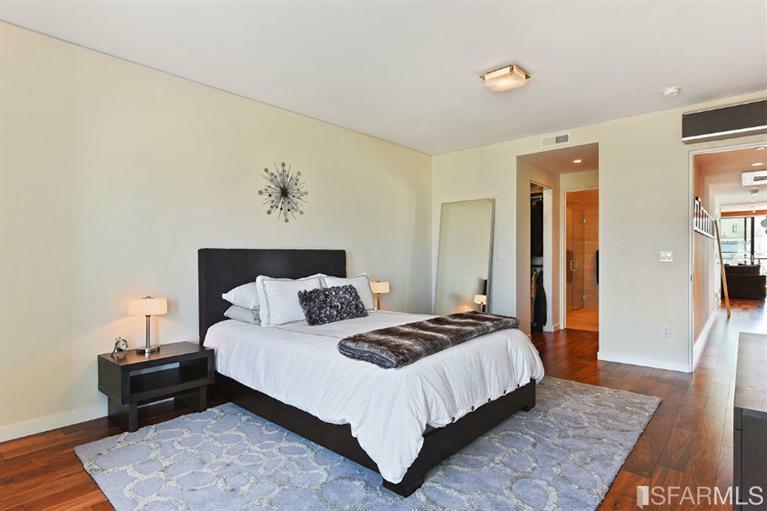 Chic, contemporary top floor VIEW condo in a 7 unit elevator building steps from restaurants, shopping & one of the best neighborhoods in the City. 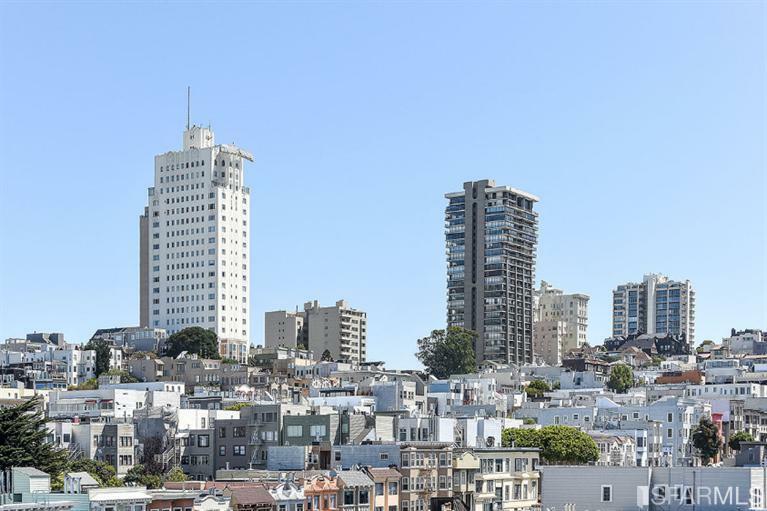 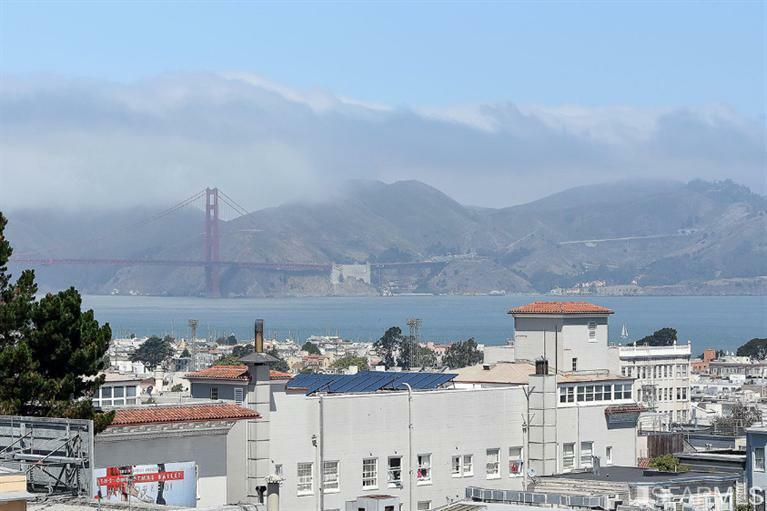 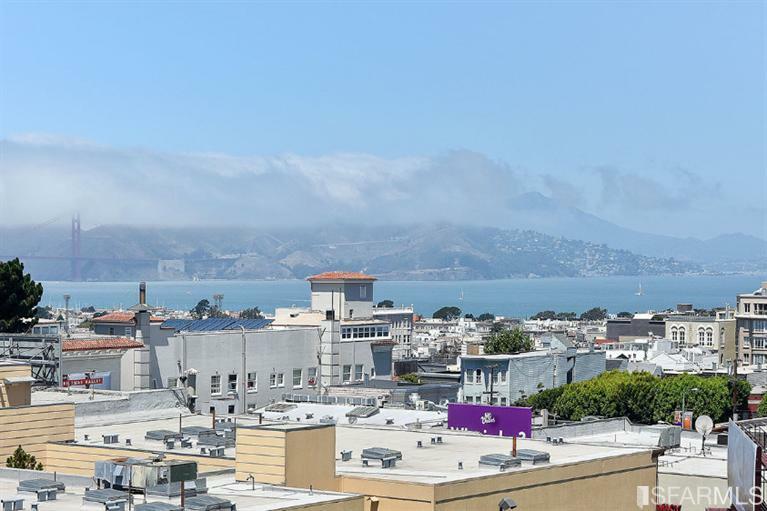 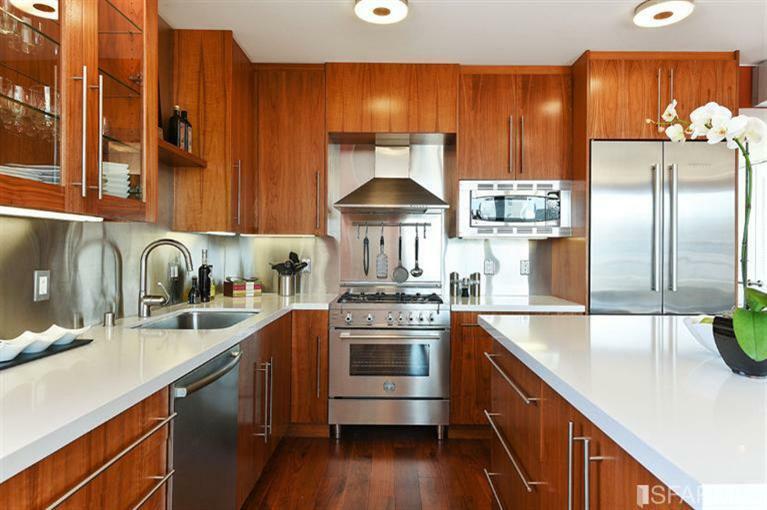 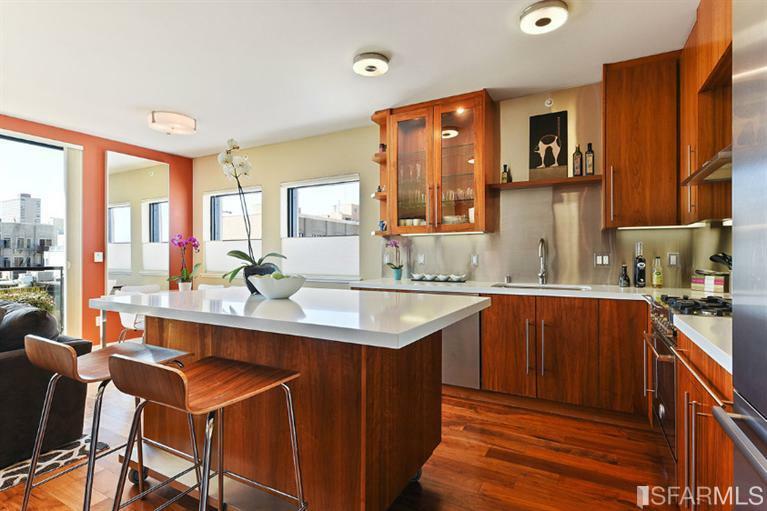 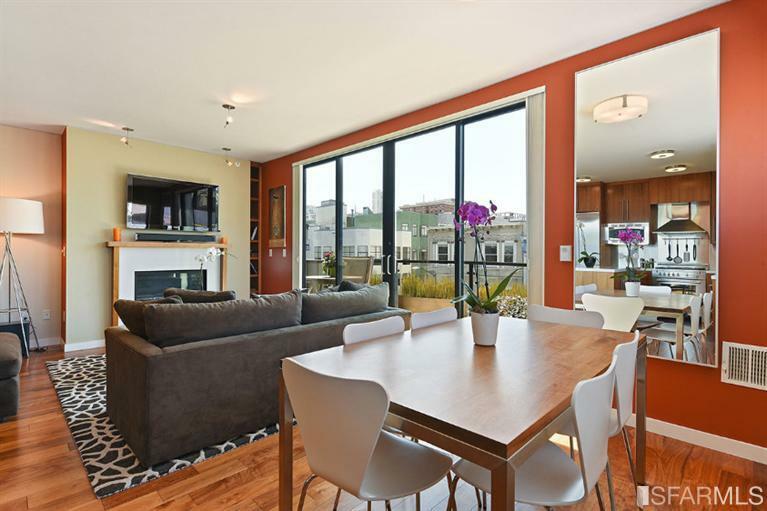 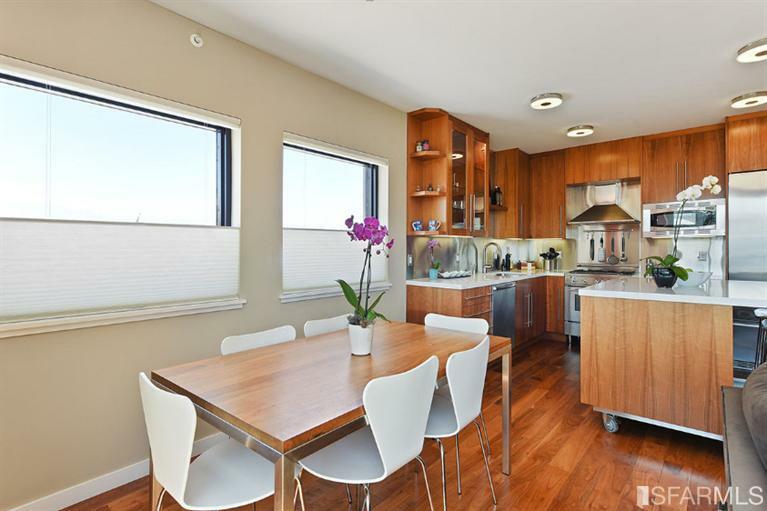 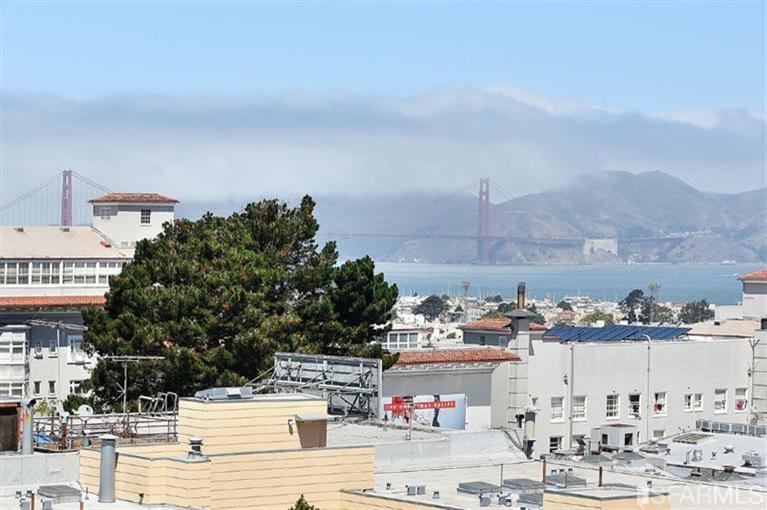 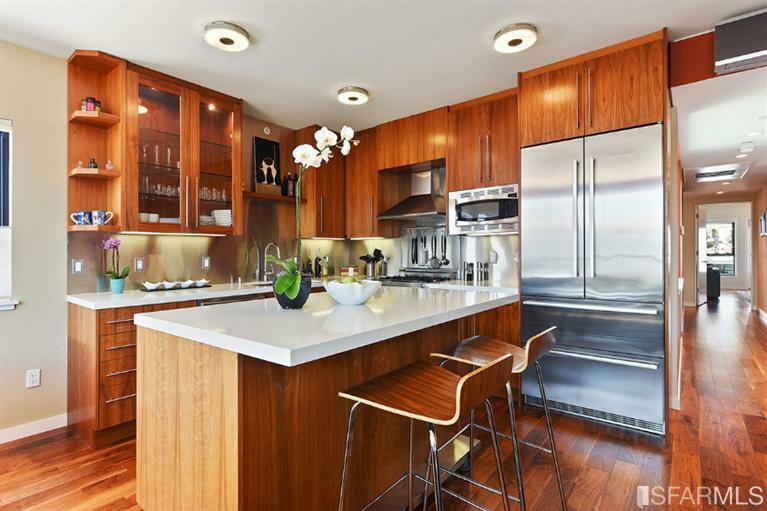 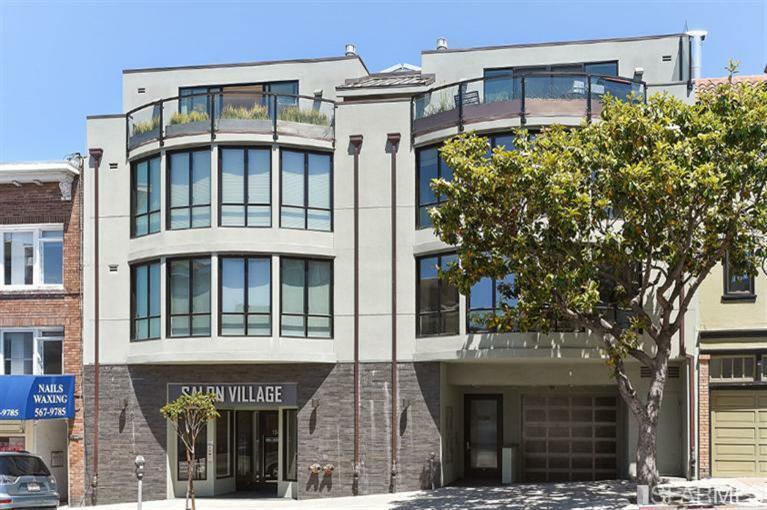 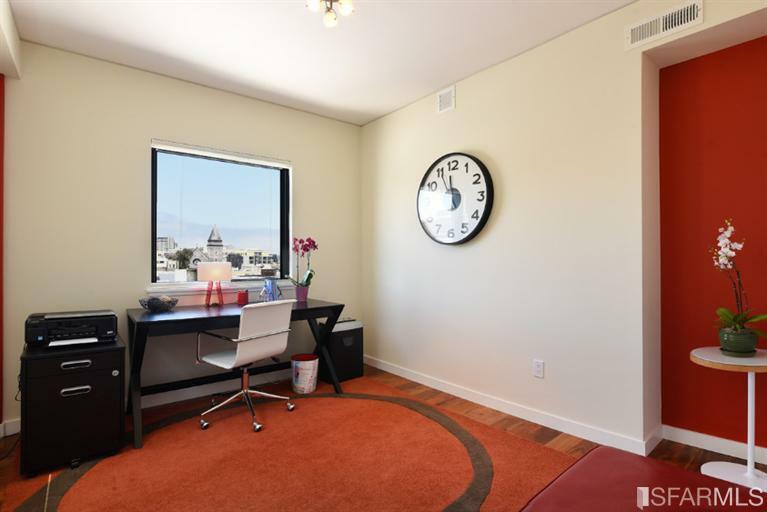 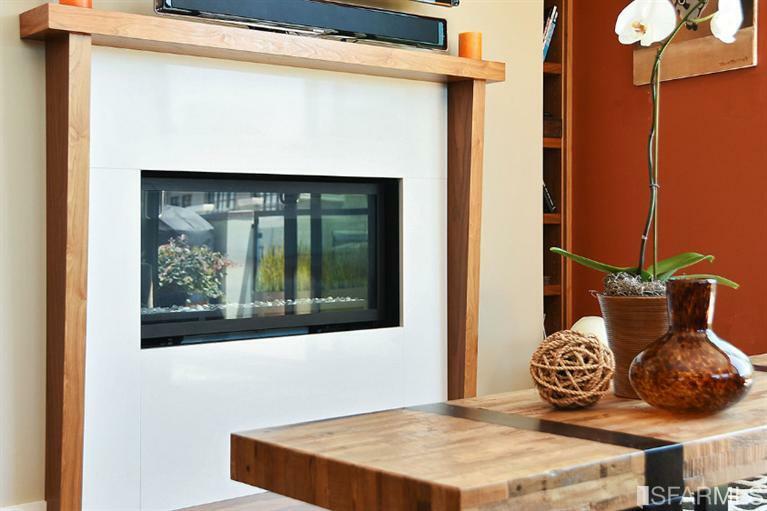 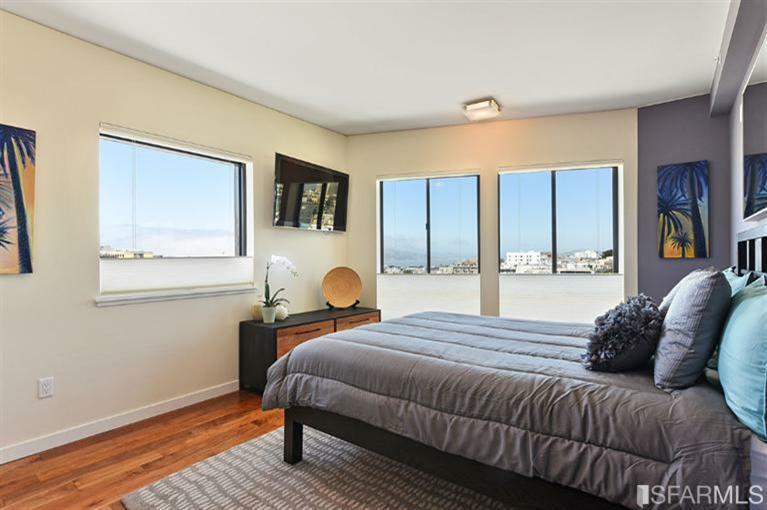 It feature 2 bedrooms- both with GG Bridge and Bay views, 2 bath plus den. 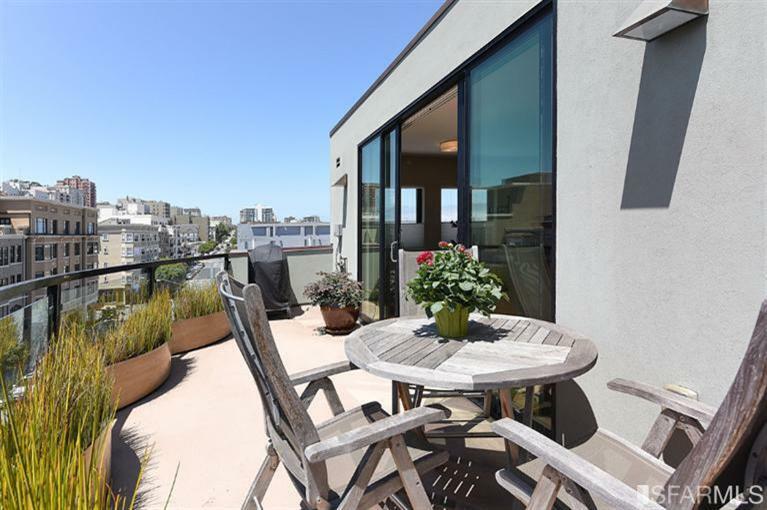 South facing terrace with City views perfect for BBQ & dining. 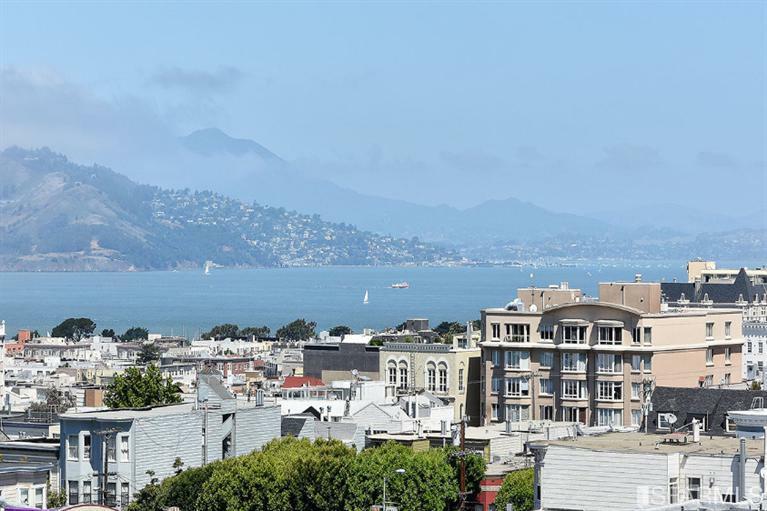 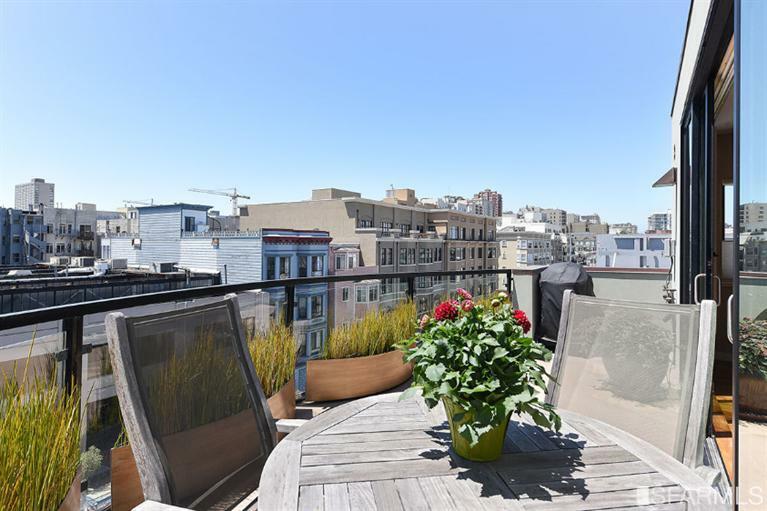 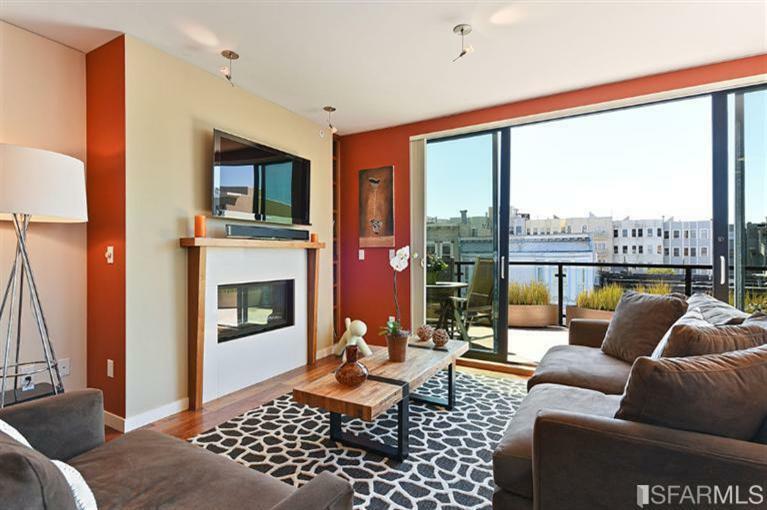 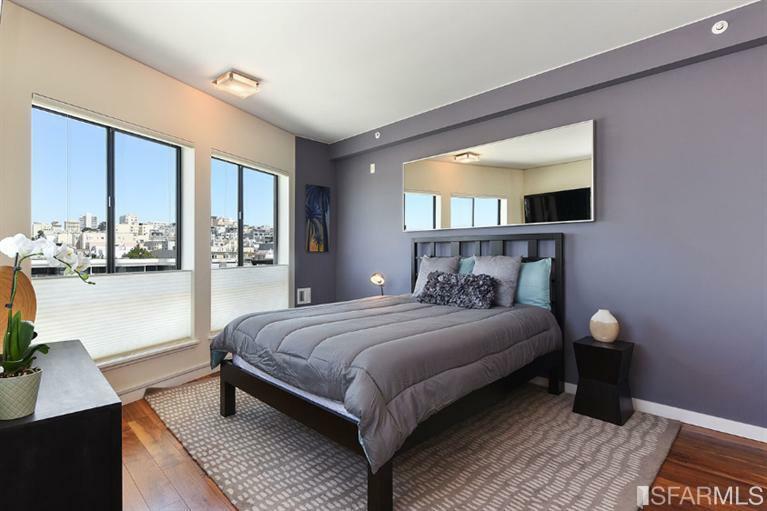 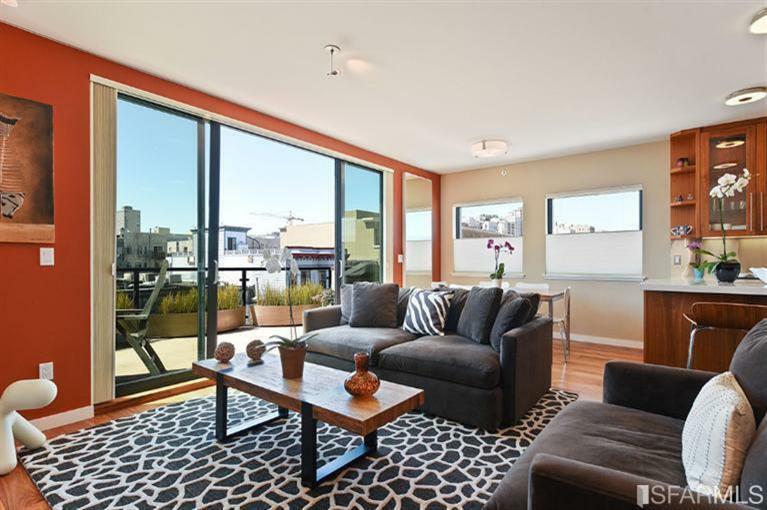 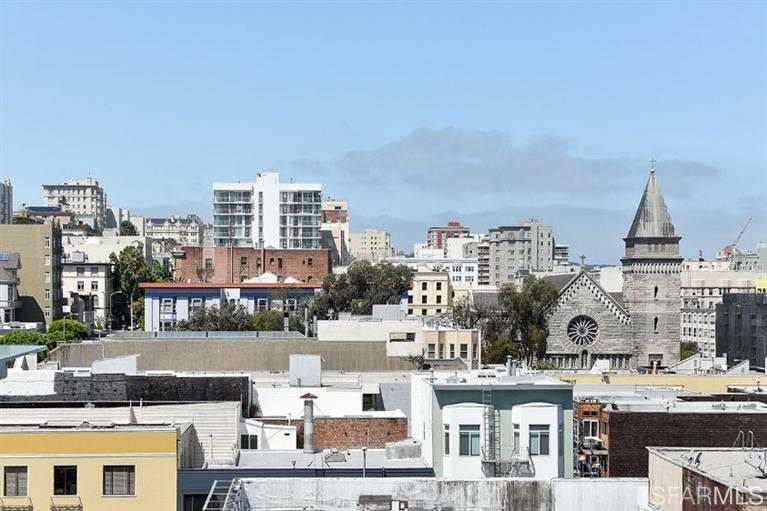 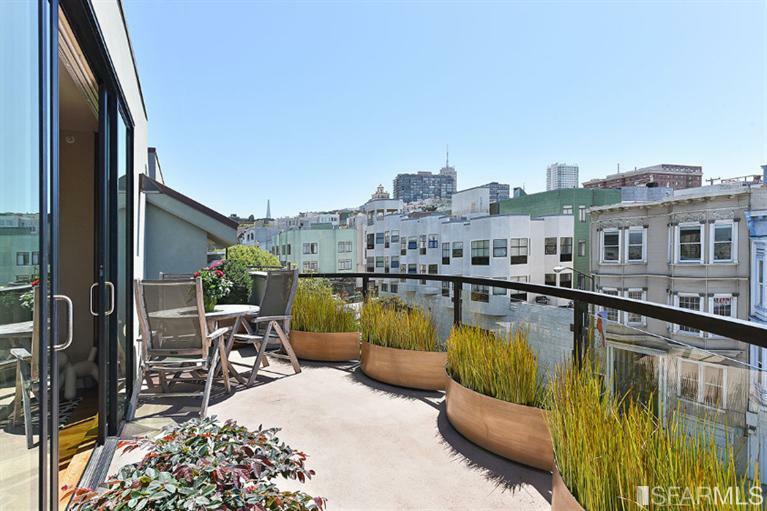 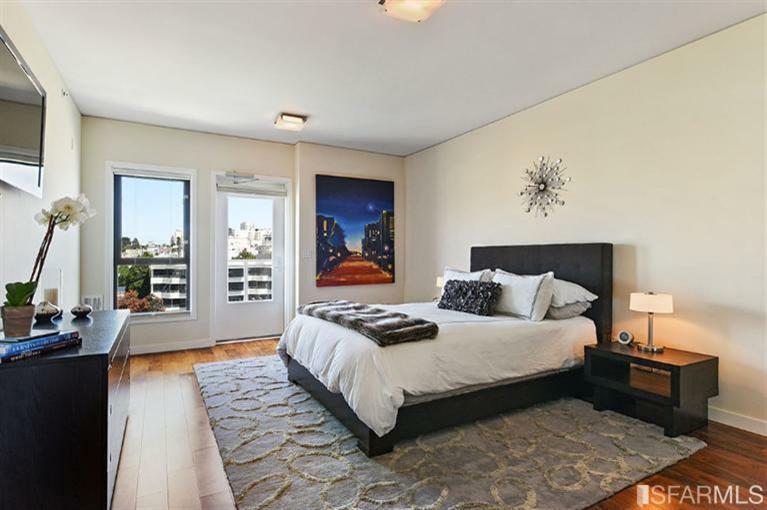 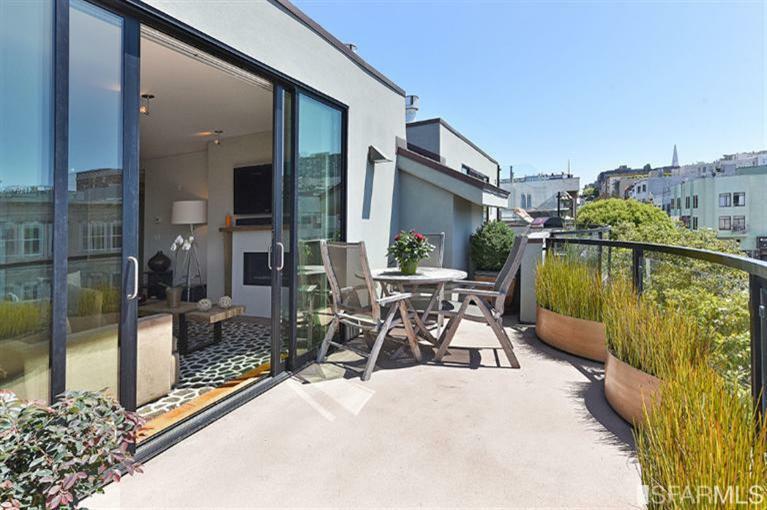 North terrace has City, Bay and GG Bridge views. 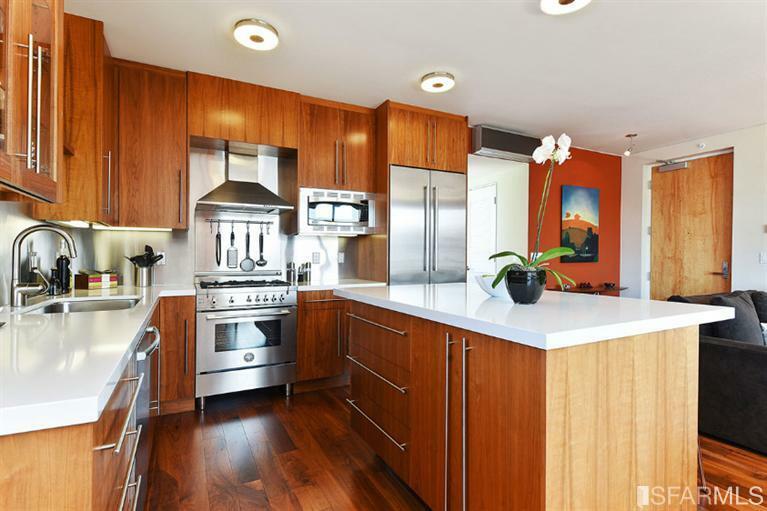 Open floor plan with fireplace, walnut floors, custom walnut cabinets & vanities, Caesarstone, Bertazonni range & Liebherr refrigerator. 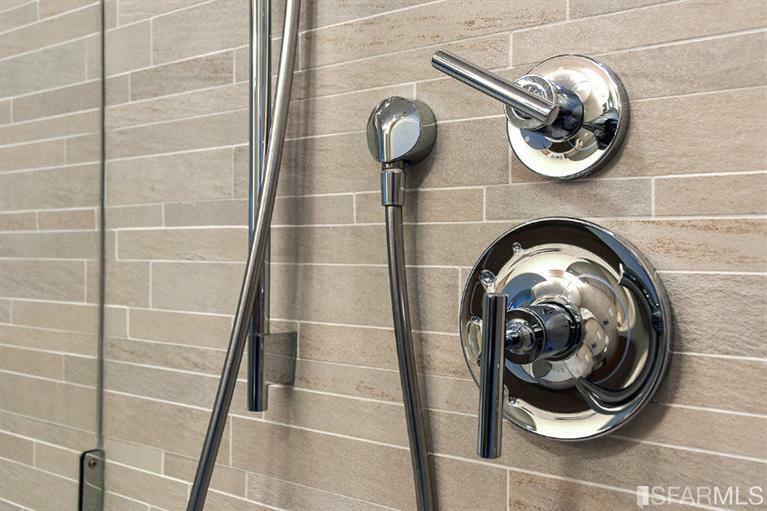 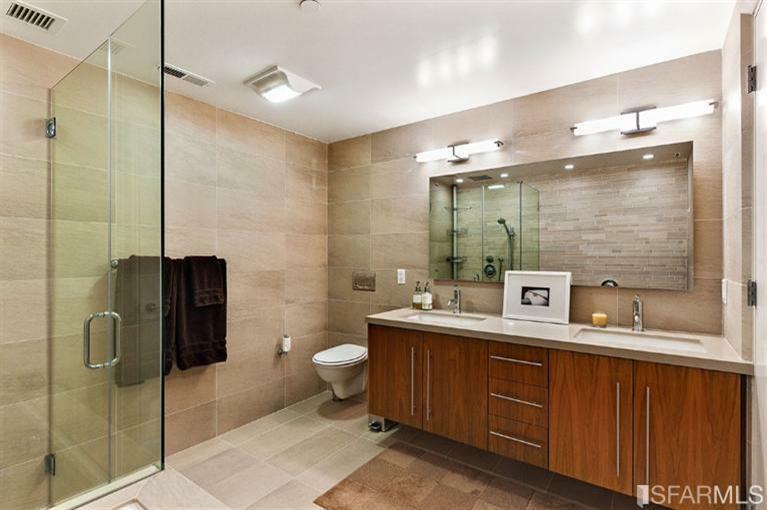 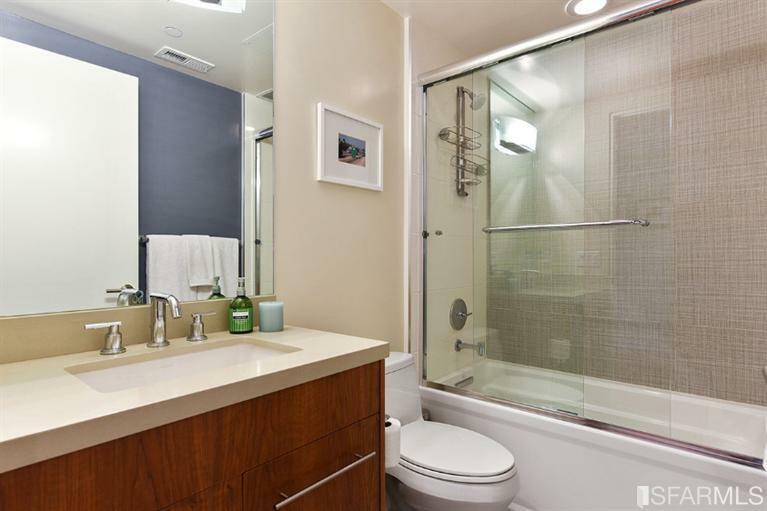 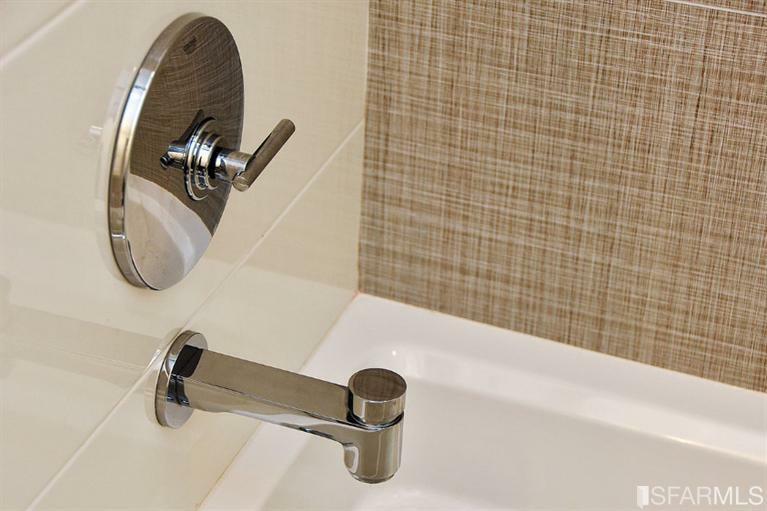 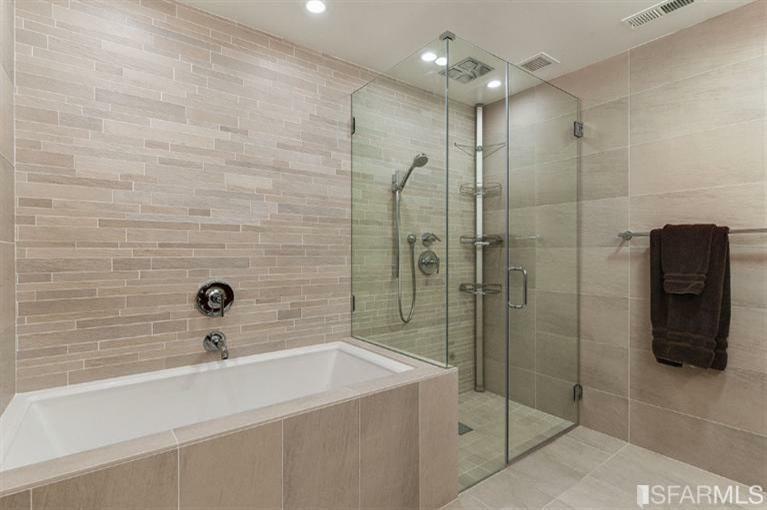 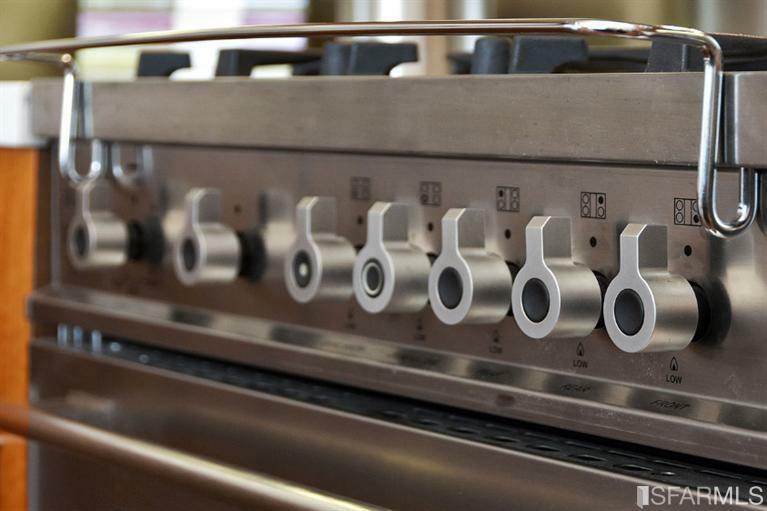 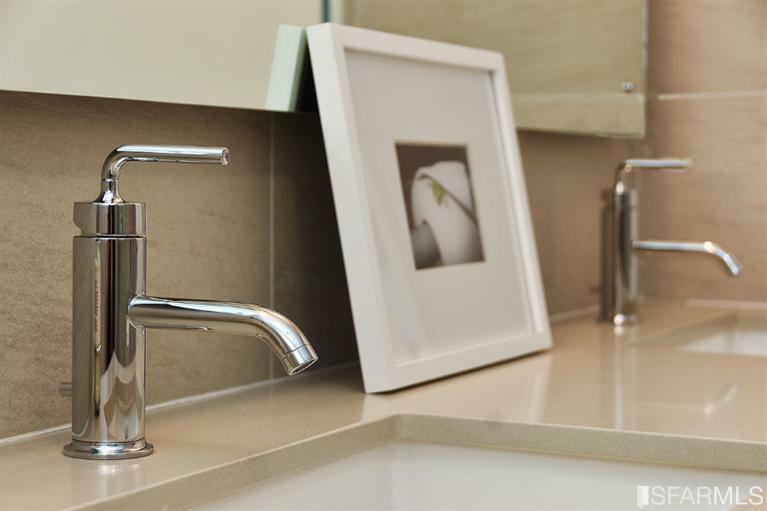 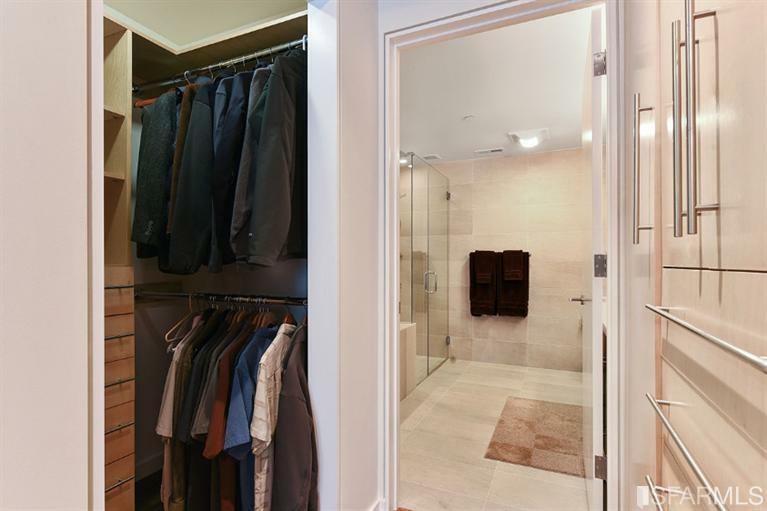 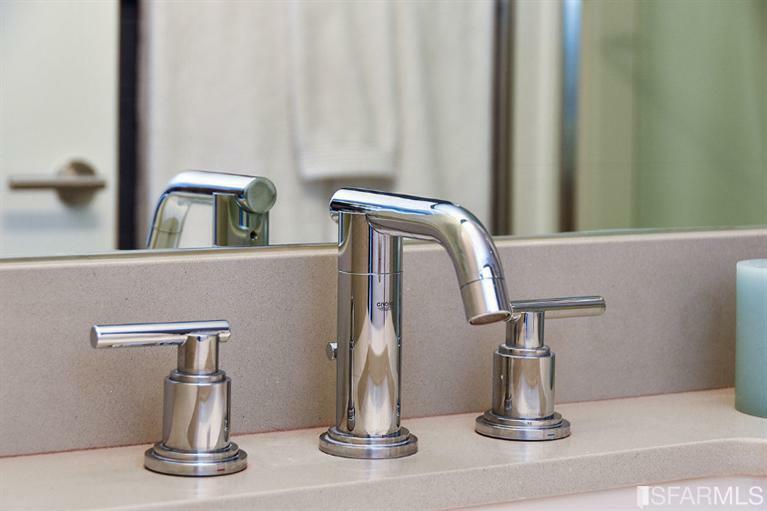 The master suite has a Roman soaking tub & separate spa shower w/Kohler and Grohe fixtures. 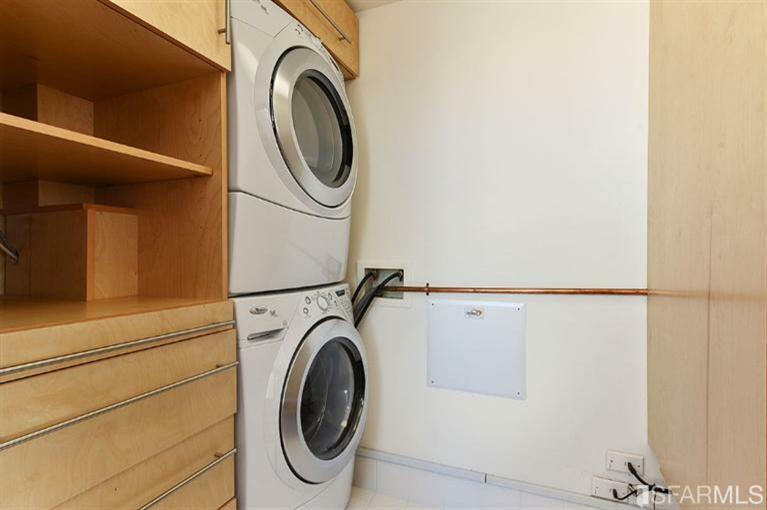 There is a laundry room, one deeded parking space & a large storage room. 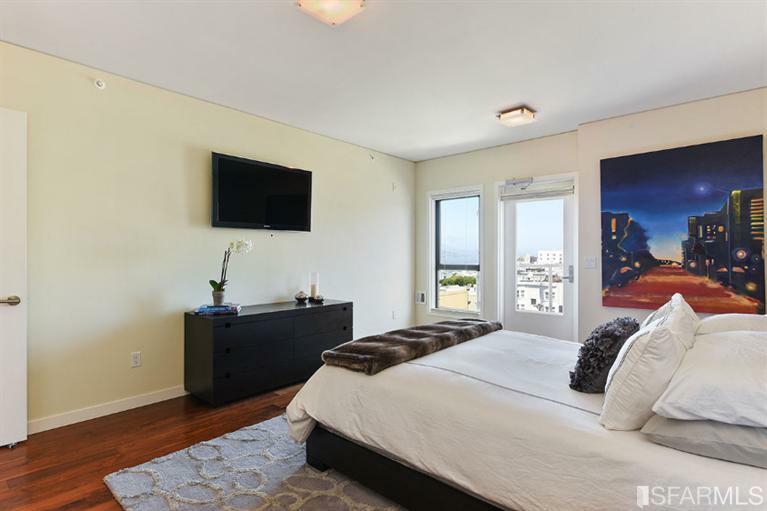 Seller would consider selling fully furnished.